Now you have the chance to personally eat Leon's brains. As high-speed internet connections become prevalent among gamers, developers are coming up with unique ways to add various multiplayer features to single-player games. Demon's Souls allowed players to leave clues to assist other players, while Dragon's Dogma let players share their pawns with other players. Now Resident Evil 6 will take a slightly more direct approach by letting online players take over the roles of zombies and monsters, potentially transforming the game into a massive griefing simulator. The feature will be implemented in a special gameplay mode called "Agent Hunt" which becomes available upon your first completion of the single-player campaign. Human players will need to progress through the single-player campaign as usual, while monster players will attempt to stop them by any means necessary. Monster players will be able to work as a team, and are even provided with voice chat to plan strategies as appropriate. Human players will be warned when a human-controlled monster enters the game, but will not be told which particular enemy is the one they need to worry about. We can likely expect that human-controlled monsters will either be noticed as ones that clearly break from AI patterns, or ones clever enough to keep you from noticing them until it's too late. 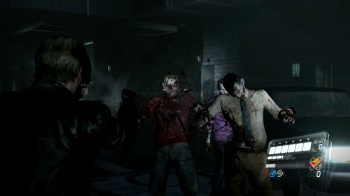 Gamers familiar to the zombie genre may have noticed that "Agent Hunt" gameplay mode is actually very similar to "Versus" from Left 4 Dead, which put players in control of special infected while maintaining the original experience of survivor teams. Resident Evil 6's version might actually be an interesting addition that extends the lifespan of the title, even if it does take the franchise farther away from its survival horror roots.